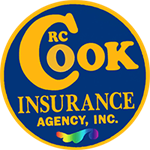 Get your free car wash insurance quote from RC Cook Insurance. Call 330-296-3628 for more information. We're located in Ravenna, OH. How long will your Ohio auto wash business last if you can't wash any cars? This is just the type of question that car wash insurance can answer and protect you from. Thinking of going forward without protection? Don't! Ohio Car wash insurance is affordable and a key piece of any successful auto wash business. You may feel that your Ohio auto wash business is already covered by general business insurance. Though this policy may cover damage to your property, the cars that pass through your service each day make your business especially vulnerable and only a car wash policy can fully protect you. Ohio Car wash insurance is available to any owner of an auto wash facility in order to protect against losses arising from damage to your property or a customer's property.